The post title sounds a little crazy right SPF 100+ hahaha... Firstly I never even knew anything higher than SPF 50 existed until we visited the Grand Cayman in the Caribbean a few years back and they had SPF 75 right the way through to SPF 100 in their supermarkets. I mean over here in the UK it's always SPF 50 being the highest we can buy in Boots / supermarkets. Ok so you may wonder why on earth I would need such a high factor...when you hit a certain age your skin goes downhill and there is nothing worse than too much sun exposure and pigmentation / wrinkles on your face!! Better to stay well protected than feel sorry when you are old and wrinkly. Also where we are going there is tropical heat and we have got slightly burnt before using spf50. 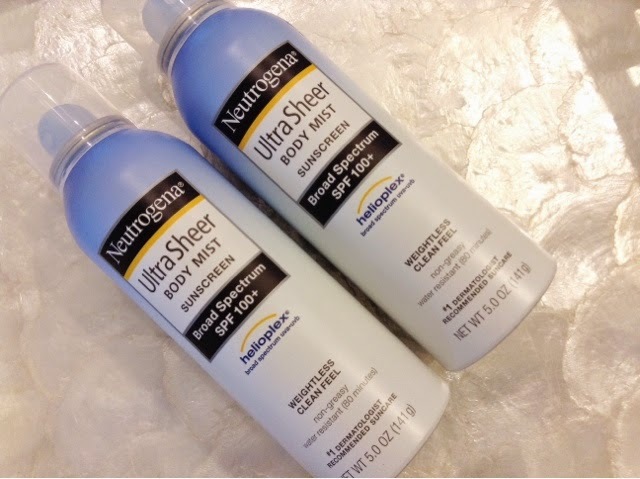 Last year before going away I decided to look online (amazon UK cheapest) to see what was available that was higher than SPF 50 and came across Neutrogena Ultra sheer body mist SPF 100 so I brought one bottle to try when we went on our honeymoon it was expensive at 15 pounds a bottle (no pound logo sign on my cheap ipad keyboard). Soon as I applied it on the first time I instantly fell in love with it. Usually with sun creams they are sticky and thick..generally not nice to have on and you feel you need a shower all the time but this spray is so light and you don't even know you have it on. It's such a light sheer formula I can't even describe how great it is. The lower the factor the cheaper it costs so if you are going around Europe you can get away with SPF 50 or lower it's definitely worth buying to try. 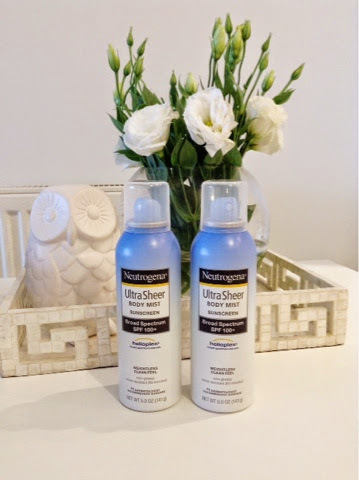 Next time you go away on holiday you must all buy the ultra sheer mist to try!